Valentine’s Day is always up for debate. Some people can’t stand the Hallmark holiday, and some love the opportunity to shower their loved one with romantic gestures. 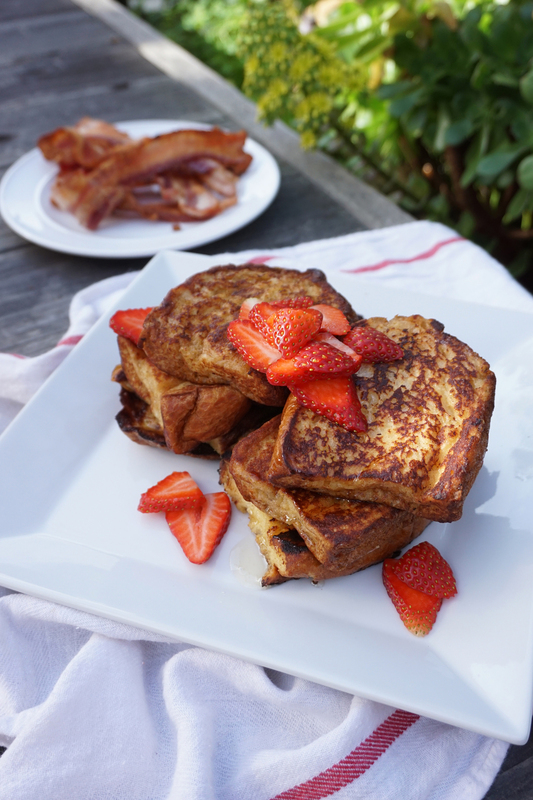 But whether you’re booed up or single this Valentine’s Day, there’s no beating a stack of homemade French Toast. - If you didn’t have a chance to leave the bread out overnight, preheat your oven to 350F. - Slice the King’s Hawaiian break into 1-inch thick slices, and then cut each slice of bread in half. I sliced off 4 slices of bread. Isn’t the Round Bread so cute? - Throw the slices onto a baking sheet and toss them in the oven for 5 minutes. They’ll get nice and toasty - not to mention that your kitchen will smell so delicious! - In a a large shallow dish, whisk together the eggs, sugar, cinnamon, nutmeg, vanilla extract, and milk. - Lightly dip each piece of break into the custard. 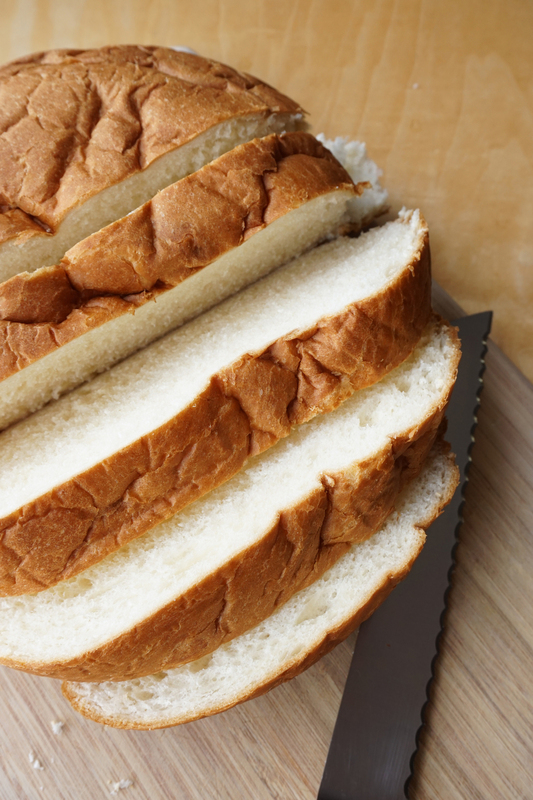 Make sure each piece is saturated but not over soaked, as the bread can easily fall apart. - If you’re going to be topping your French Toast with fruit, now’s the time to wash and slice it all up. That way it’s all ready to go when the French Toast is hot and fresh. You can caramelize bananas by slicing them in 1" slices and frying them in a some butter. - When you’re ready to cook the French Toast, preheat a buttered pan or griddle. - Place the bread on the pan, and turn with a spatula when golden brown. You want them to get a nice crisp edge, but not cook long enough to dry out. Once both sides are golden brown, they’re finished! SO easy. - Serve with your choice of toppings and be prepared for your eyes to roll backwards. This recipe has the perfect amount of sweetness without being too much. The tanginess of fresh berries and the saltiness of applewood smoked bacon are the perfect partners for this! They’re so fluffy and delicious! It’s great to have this recipe in your arsenal for numerous occasions - Mother’s Day, entertaining, or just a regular ole Saturday morning. Myself? I’m gunna indulge in a stack and wait for the candy aisle to go on sale.